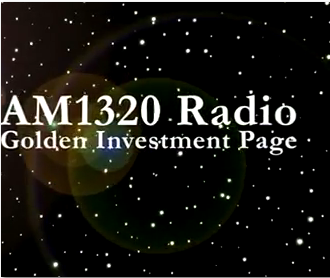 Tina Mak is back on the air with her new radio show which focuses on investing. Even though the March statistic from the real estate board of Greater Vancouver shown sales declined 18.3% from March 2012 and 30.2% below the 10 year sales average. It however, shown some good news for Sellers. The sales-to-activity-listings ratio sits at 15.2%. What does it mean? A "buyers' market" is generally considered to be when the sales-to-listings ration is less than 13%. In February was 12.2% and January was at 10.2%. This means selling a home is getting easier and March was in a "balanced market". The Seller market back in early 2012 like March was at 19%. There is an apt pre-sale grand opening in Richmond on April 6 with long line up that we haven't seen it for a while. Is the Chinese finally starting to spend again? We know the Chinese has been in the wait and see mentality. Will this project shown some strength of the return of the Chinese buyers or they just try to line up to win the Lexus? Just a note to remind you that after April 1st, we are back to GST & PST tax structure. Sales tax on a new home is total of 7%, tax on real estate commission, lawyer fee and inspection fee have been reduced to 5% from 12%. 3) Are there any traps to watch out for? 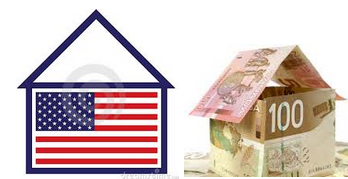 1) What tax considerations are there for a Canadian who wants to invest in US property? 2) Does that mean that Canadians are paying tax twice? Don't miss Part 2 for more info. Just read a report on "buyers left with big bills when home inspectors miss defects". This is not the first time I read about this and it certainly will not be the last time. There is a perception out there that inspectors get referral business from realtor so they don't want to fail the inspections worry about the referral business will stop. This is such a wrong perception. There are a couple inspectors out there trying to market themselves that they don't take referral business from realtors for that reason. They have their right to market however they want to market themselves but that is not true! We as realtors are not supposed to tell our clients who to hire regardless it is inspector, banker or lawyer. We can only provide a few choices to our clients upon their request and they make their final decision after they do they own duel diligent. Inspectors to me is like a family doctors. They are not specialist. They have general knowledge. Some are better than the others. It is true that it is too easy to obtain an inspector license in British Columbia. I have seen ex realtors became an inspectors. If a buyer really wants to inspect a house thoroughly, they really should hire specialists like professional electrician, plumber, roofer, engineer etc separately to give them a proper report. However, in reality, how many buyers would ever spend the money to get a thorough report on any property. Another reality is one would be almost impossible to sue inspectors or any medical field professionals for any wrong doing. Therefore, if you know you are working with a professional realtors who care about their license and reputation, the chance for them to risk their license just to get a deal through is much slimmer. I feel sorry for those who caught in the middle of this kind of disasters and it is a very expensive lesson to learn. Just to refresh our memory how the city by law screwed up the building code back in the 90's and put so many innocent home owners in financial jeopardy during the leaky condo era. If you are interested to have my assistant, please feel free to check me out on my website at www.TinaMak.com, email me at tinamak@tinamak.com or simply call me at 604-412-5860. Purchasing commercial real estate is much different than purchasing a home. 1) Before buying, make sure that you consult a tax adviser for assistance. A tax expert can advise you on how much the property costs and what amount of your real estate income will be taxable. Consider any tax deductions you might get from your commercial real estate investment. Investors can get interest deductions and depreciations benefits too. Work closely with your lawyer as well for all the local legal matter advice. 2) Secure appropriate financing before going forward. Commercial property loans and the establishments that finance them are not the same as the world of residential home finance. 3) Different commercial brokers represent different parties. eg. Retail, office, mall, hotels, apartment building, recreational properties, agricultural, etc. Some real estate agents will work with Landlords & tenants, but there are also some that only work with tenants. 4) Knows your needs before you even start looking for a commercial real estate. If you want to buy for personal use, draw up a list of specific attributes your office space must have, number of meeting rooms, and available bathrooms, etc. Keep in mind that the size of a property can be very important if you’re the owner of a growing business. To avoid the need to move in the future, invest in a piece of commercial property that allows for ample growth. If you are purely investors, have your agent to provide you as much info as possible regarding the unemployment rates income levels, and expansion rates of the area. In addition, you want to keep in mind what else is close to the property. Any place that supplies a large number of jobs to the economy can raise the resale value of any property and make it much faster to sell if you decided to go that route. Big employers might consist of hospitals, factories, or universities. 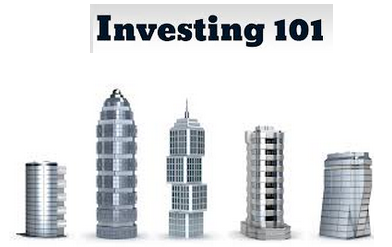 5) When you’re a new investor, the best thing that you could do is to try to learn one kind of investment thoroughly. Select one type of property that appeals to you, and devote your undivided attention to it. It is in your best interest to stay focused on one type and do your best, than to spread yourself too thin and just do average at multiple investments. could affect the structural integrity of your home. permit. They always ask the homeowners to make the decision. year because they didn't have proper permits. was done with or without permit. All these must be disclosed to the buyer. problems that might occurs after. Do you get capital gain exemption if you sell your old principal residence AFTER you moved into your new principal residence in Canada? It is a common practice that Chinese owners often buy a new home, move in then sell their existing home. Are they still eligible to get capital gain exemption? The “plus 1 year” serves to accommodate the situation where the taxpayer owns 2 homes in the same year – ie. where the taxpayer buys a new home before selling the old home. Due to the “plus 1 year” part of the calculation – the taxpayer does not need to designate the old home as a principal residence for the 2011 year. Therefore, 2011 can be designated as principal residence for the new home to ensure that the tax free portion related to the future sale of the new home will be maximized. However, the 2012 year can not be designated as principal residence for the new home. The loss of this 1 year may result in a portion of any future capital gain being taxable. However, the “plus 1 year” rule may avoid this problem when the new home is sold in the future. 4. If the old home is not sold until 2013 – then the capital gain will not be fully tax free. he/she must actually live in the house as a principal residence. 6. The transfer of the old home to a step child will also be treated as an ordinary sale at fair market value – see above comments. "Who buys and sells recreational properties in Canada?" 1.) Who buys these recreational ppties? cases it might be a developer or an investor. Canadians, Americans, recently buyers from mainland China. 3.) Any difference between those buyers in terms of the investment types? for the land, but also for the long-term cash flow. 4.) Do they pay all cash? Or get mortgage? 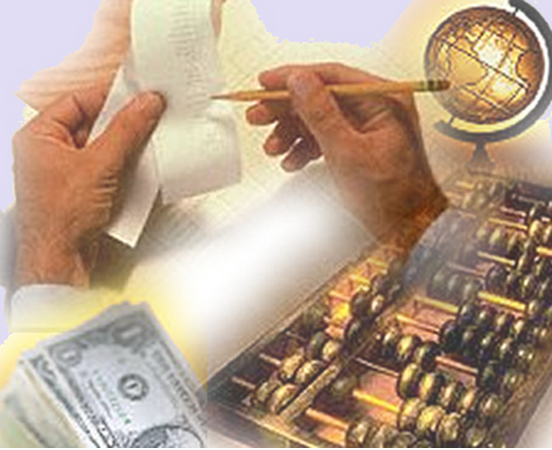 borrowing money makes financial sense in this borrowing environment. factors. But, yes, some properties can be more difficult to obtain a mortgage. 6.) Does buyer buy based on the ROI? Or for status purpose? Depends on the property. Could be neither or could be one or both. cod be higher than 10 or 12 percent. 8.) How do you find these international sellers & buyers? contacts. It's important to be cooperative and to respect established relationships. The annual Home Listing Report, released Wednesday by Coldwell Banker Real Estate LLC, covered typical 4 Bedroom, 2 Bathroom homes in the company's active N. America-wide listings - homes aspired to by many move-up buyers. Comparing 10 Most expensive & 10 most affordable market in Canada & US. #1 REDFORD, MICH: The average listing price of a home is $60,490. #2 COLLEGE PARK, GA: The average listing price of a home is $62,080. #3 DETROIT, MICH: The average listing price of a home is $65,155. #4 CLEVELAND, OHIO: The average listing price of a home is $70,166. #5 POINCIANA, FLA: The average listing price of a home is $76,341. #6 HASTINGS, FLA: The average listing price of a home is $78,840. #7 JONESBORO, GA: The average listing price of a home is $79,686. #8 PARK FOREST, ILL: The average listing price of a home is $81,107. #9 AUGUSTA, GA: The average listing price of a home is $83,936. #10 JOHNSTOWN, PENN: The average listing price of a home is $84,173. #1 LOS ALTOS, CALIF: The average listing price of a home is $1.7 million. #2 NEWPORT BEACH, CALIF: The average listing price of a home is $1.658 million. #3 SARATOGA, CALIF: The average listing price of a home $1.58 million. #4 MENLO PARK, CALIF: The average listing price of a home is $1.5 million. #5 PALO ALTO, CALIF: The average listing price for a home is $1.49 million. #6 LOS GATOS, CALIF: The average listing price of a home is $1.44 million. #7 RYE, NY: The average listing price of a home is $1.3 million. #8 KAILUA, HI: The average listing price of a home is $1.238 million. #9 CARMEL-BY-THE-SEA, CALIF: The average listing price of a home is $1.232 million. #10 SAN CARLOS, CALIF: The average listing price of a home is $1.32 million. CAN YOU SELL YOUR HOME BY EMAIL? I just want to share this case study with you that I read from the BCREA Legal update article. You will be the judge about the whole idea of selling your home on line or hire a professional agent to represent you but most importantly to guide you through the sophisticated real estate transaction process. The property was listed for sale on Kijiji. After an initial phone call, the buyer and seller negotiated a sale by email. The seller emailed the buyer offering to sell the property for $160,000, providing the buyer assumed the mortgage and paid her legal fees. The buyer emailed agreeing to assume the mortgage, pay the seller's legal fees and offer $155,000. The buyer also emailed asking if his wife could view the property. The seller emailed back advising the buyer that she would accept his offer. The buyer's next email suggested he have a purchase and sales agreement drafted and proposed a closing date. Three hours later the seller emailed the buyer advising that after speaking with her partner, she was not prepared to sell the property. The seller was the sole owner of the property. The buyer sought a judicial determination that the email exchange resulted in a binding agreement. The buyer argued that the email exchange constituted a written agreement, contained all the essential contract terms, satisfied the definition of electronic signature under New Brunswick's Electronic Transactions Act2 (NB ETA), and therefore satisfied that provisions under that province's Statute of Frauds3 which, like BC's Law & Equity Act4, provide that no contract for the sale of land is enforceable unless the agreement is in writing and signed by the party charged. While the case concerned New Brunswick legislation, BC's legislation is substantially the same.5 The BC Electronic Transactions Act6, like the NB ETA, provides that contracts for the sale of land may be entered into electronically providing the parties agree, and providing the other common law requirements for contract formation are satisfied. BothActs provide that the legal requirement for a signature is satisfied with an electronic signature and define electronic signature similarly, as information in electronic form that a person has created or adopted in order to sign a document and that is in, attached to or associated with the document. While the lower court found a binding agreement, the Court of Appeal held otherwise. The higher Court acknowledged that the emails satisfied the written requirement of theStatute of Frauds and commented, without making any conclusion in this case, that it was possible that the method of the seller identifying herself in the emails could satisfy the definition of electronic signature under the NB ETA, and thus the requirements of theStatute of Frauds. The Court also acknowledged that the email exchange contained the essential elements for a contract: parties, price, property. However, applying the objective standard of the "reasonable bystander", the Court concluded that the parties lacked the requisite intention to contract, a criterion for contract formation. In reaching its conclusion, the Court considered the fact that neither the buyer nor his wife had viewed the property, the buyer's reference to a future draft agreement, and the fact that the buyer was unaware of the terms of assuming the mortgage. The decision is encouraging as the Court recognized that the sale of real property is a sophisticated process, where formality is required and consequently, the expertise of licensees." Why would you buy a revenue property now when you feel the market is not going anywhere fast? Well, how about starting an investment now where you get 7% return per year? When I started in the business, history has told me that when the market peaks then experiences a recession, it takes an average of 7.5 years before the peak property price is surpassed. This happened in 1981 to 1988 and in 1995 to 2001. The smaller recession in 1990 took 2.5 years for the peak property price to be surpassed. The shortest one was in 2008, Vancouver rebound in 6 months time when US is just experiencing recovery while we are back at it due to our new mortgage lending rules introduced to us in the Summer. Each mortgage payment made in the current low mortgage rates will pay off 30% to 45% of the principal owed or in other words, increase your equity just like an automatic savings account with a return on investment of approximately 7%. Here is an example back in 2009. The rent is $1,500 per month which covers the mortgage payment, maintenance fees (if applicable) and the property taxes. Your amortization schedule will show that after the first year $4,984.43 of the principal has been paid down or your equity has just gone up $4,984.43. Here is today’s example with the same amount but different interest rate. The rent is $1,500 per month which covers the mortgage payment, maintenance fees(if applicable) and the property taxes. Your amortization schedule will show that after the first year $4,984.43(2009) & today it will be $6161.29 of the principal has been paid down & the differences between 2009 & 2012 on equity improvement is $1176.86. With a lower mortgage rate and/or higher rent you will get a higher return or ROI. The fact is mortgage rate is staying low for a while & rental rate is not dropping. This market is absolutely an unbelievable opportunity for investors if you have the cash. Instead of improving home ownership, the new mortgage rules are actually putting more people back to rental market, might actually encouraging them using their originally saved up home buying down payment money into buying material items. Things they want but not they need. Unless potential home buyers discipline their spending habits. The government cannot acts as parents & tell the citizens how to spend. Recent report from Canadian Institute of Chartered Accountants shows 30% of those surveyed in BC sometimes buy things they can’t afford compared to 24% of the rest of Canada. While 82% of them are stressed out about it. 77% of us actually develop a budget but only 32% of those with a budget actually say they stuck with it. People admitted that they know what they need to do but they don’t do it. Why, it requires discipline, hard work & tough choices. If you want to learn how to make 7.7% return on your investment or if this is a right time for you to purchase a home, contact me at 604-412-5860 or tinamak@tinamak.com. Vancouver, Ontario & Quebec have dominated this list. Click the link & see all details & slide of all houses interior pictures. Are you an opportunist or procrastinator? I understand the June housing stats is not as rosy as we would like to see. Typically, people will focus on the negative part of the stats which is sales volume is in 10 yrs low. I wonder how many of us will talk about the price hasn't changed much. Apartment increased 0.3%, detached ppty increased 3.3%, attached ppty decreased 0.1%. Also, real estate is not stock market. We don't do day trade. When we take these monthly stats so seriously, it gives us stress. If your property is your home, ups & downs has nothing to do with you. You still need a home to live. Yes, areas where Mainland Chinese immigrants focused on in the last couple of years definitely shown price adjustment. However, we also know once the Chinese decides to come back into the market, it'll be hard to compete with them. The current new lending policy doesn't affect any Asian buyers. Many of them pay all cash. I've also seen other report from different banks economists. All of them are on the bullish side in terms of Canada's outlook to wear calmly through the global economy turmoil. I look at this as a transition period. I think the new lending policy does do good for debt control. However, I won't rule out there might be some political reason behind it. Back in 2008, I said it once & I'm going to say it again. Can you time the bottom or the peak? We only know afterwards not while we are in it. During 2008 & 2009, majority people did the same thing as what buyers today do, predict the market will goes down. The different is back then, they predict as far as 35%, this time, 15% is the lowest I have heard so far. 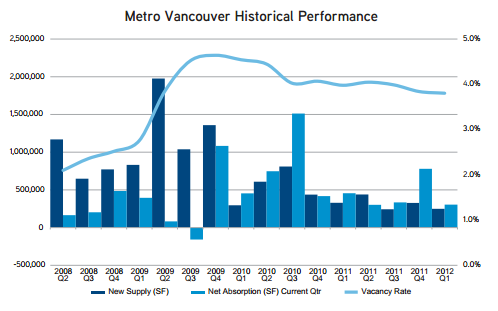 In 2008, Vancouver market bounced back strongly in 6 months when US is still in trouble. BC unemployment rate this month drop from 7.2% to 6.6%. Car sales went up average 7% in the last 6 months both domestic & import vehicle. As a buyer, you have to ask yourself if you agree that Canada is a safe haven compare to the rest of the world. Are you a speculator? Are you buying a home? Are you a long term investors? All these have everything to do whether you should sell or buy in ANY market not just this market. Like all professions, there are people more experience than the others. Among them, there are pessimist & there are optimist. There are opportunist & there are procrastinator. No matter what you are, you likely will hang out with the same mind set of friends. I just read an article came out on June 27th on "China property developers said looking overseas as rich clients buy abroad". It said China isn't likely to ease real estate restrictions greatly in the near future. That, along with a perception among many well-off Chinese that political & economic risk is on the rise in the country, suggests mainland real estate developers targeting customers looking to move money overseas should see good business for at least the near future. So, back to the point, is Canada a "safe haven" on the global stage? If yes, why do we worry so much? I would worry if I was living in Greek, Spanish, Italian, etc. Should you wish to understand the market condition in more depth, please feel free to contact me at tinamak@tinamak.com or 604-412-5860. There are five different factors that go into your credit score, and understanding them will help keep your credit score healthy so you can access the best mortgage rates when t he time comes to buy a home. 1. Payment history: The bulk of your credit score is made up from your history of delinquent, past-due and late payments. If you miss a payment, your credit score takes a big hit. That means a missed payment of $1.00 is still scored negatively, even if it's only a dollar. Your credit score also factors in the frequency at which you miss payments. 2. Amounts owed: This portion of your credit report tracks the total amount of your debts. This can include credit card debt, student loans, mortgages and lines of credit to name a few. It also keeps track of who you owe and for how long. The popular myth is that bigger dollar amounts affect your score, when in reality, it is only part of the equation. Having a $1000 credit balance at the end of the month is better if you're available credit is $100,000 versus only $5,000. 3. Length of credit history: Also important to your credit score is the age of each credit account in your name as well as the account activity on them. To help improve your score, it is better to keep older credit cards open because their age benefits you. 4. New Credit: The number of times you apply for credit, whether it's for a car loan or store credit card, will affect your score. Each time someone other than yourself accesses your credit report - your score takes a hit. However, it is okay for multiple lenders to access your credit score within 30 days for the purpose of comparison shopping for the same product such as a mortgage loan. Typically, these are treated as a single inquiry and will have little impact on your credit score. 5. Types of credit used: The greater the variety of credit accounts you have (line of credit, car loan, mortgage, etc. ), the better your standing. The reason is because it shows that you can handle re-occurring monthly obligations (revolving credit) and control the access you have to your available credit. However, having too much credit can mean a lower score because it can signal that you have unhealthy borrowing habits. Lenders like to see that you can responsibly manage your debt. - Avoid signing up for promotional store credit cards because the more times your credit is accessed, the more harm your score takes. Plus, the teaser rates or ‘gift' come at a hefty price in the form of inflated interest rates as high as 30% or more. - A score lower than 600 may require you to seek financing from a ‘B' lender, who will enforce stricter rules and charge more to get financing because you pose a greater risk of default. Contrary to popular belief, a bigger down payment or better credit score (above the required minimum) will not impact your negotiations for a better mortgage rate. For further question, please contact your banker or mortgage broker. Does the new lending rules affects housing affordability to Canadians? Based on this interesting survey, "Affordability" will always be an issue to many Canadians. I welcomed the Federal government's new lending rules. Although it seems a bit harsh but if the public is unable to discipline their spending & live pay cheque by pay cheque, it leaves the government has no choice but to take action. 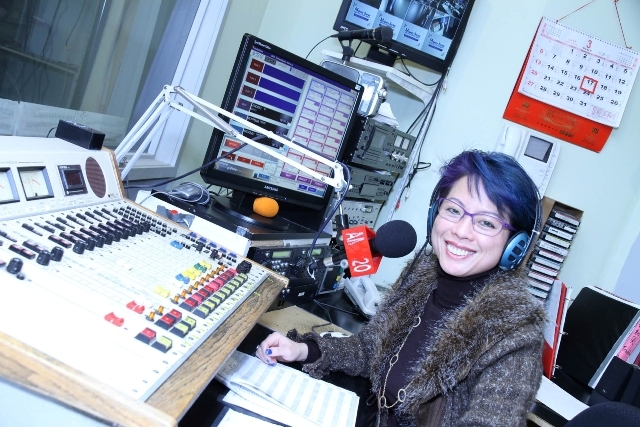 You can click the podcast listen to my live Cantonese discussion on this topic on my radio real estate show on AM1320 or you can click "Do Canadians work for love or money?" to read report details. I’m very surprised how many people buyers, home owners & even realtors don’t have any or very little knowledge about this “Depreciation Report Part 1 & Part 2”. It is your strata’s Annual General Meeting time. If your strata council plan on waiving this depreciation report. You better read this attached report, listen to my Cantonese podcast & think twice before you vote it down. It has important consequences if you vote it down. Is it wise to sell our own properties just to save commission? What is a full time professional real estate agent should do for their Seller? When the market soften a little bit, there are home owners would like to save some commission & try to sell their property by themselves. I don't blame them, it does takes up a good chunk of money from your sales proceed. However, here's the reality check when you try to sell the property by yourself. It is NOT always about the money. There are many legal aspects you have to consider. Also, the bank lending policy is changing all the time. How do you know for sure the buyer is qualified to buy your property? Those are just the technical stuff. The emotional part is when seller shows their property to prospective buyer. Most sellers think their property is the best on the block or in the complex, therefore, when the buyer start criticising the property, very often seller will take it very personal & start to defend their property. Buyer who comes thru the For Sale By Owner listing wants to save commission too, therefore, they will use all kind of method to bargain even more. Then comes the Buyer wants to see the property in different time of the day. In most cases, we have to work, therefore, you will eliminate the showing frequency. Also, how do you know if they are real buyer. From the security point of view, would you let a stranger in just because you try to save some commission? Commission: Everybody try to save some commission regardless what nationality. However Asians love to ask for commission rebate way more often than other nationality. I was trying to refer a listing to my Toronto colleague. Seller is Chinese but speaks good English. My non Asian colleague decline my referral because the image we have in Toronto is we only pays cheap commission so they don't want our business. It is very sad that it is true story. 1) We are not supposed to just take a listing at whatever price our seller told us. We need to do a full CMA (Comparable Market Analysis). Our job is to sell the property at the highest price as possible for our seller. Most For Sale By Owners Seller only set their asking price based on other listings asking price because that's all they can see on the public website. 2) understand why the seller wants to sell. Do they just want to test the market? or do they really have a reason to sell? 3) set up a marketing plan for them & most importantly, a strategy how to sell the property. 4) qualify the buyer or the buyer's agent to make sure they have pre-approved mortgage so they can buy. A pre-approved buyer might still get declined by the bank these days. 5) If the property hasn't sold within the expected time, we should re-evaluate the property value with the Seller. I've been selling Richmond & Vancouver West lately. I've noticed most of the Richmond listings sold below the current assessment value. Vancouver West is very close to assessment value, some higher, some lower. Why do we have more inventories than sold on the market? It is due to most sellers still live in 2011 peak period. Is the fears of real estate bubble in Vancouver overrated? Vancouver got blame for driving up averages prices across the country. Today, Vancouver being blamed for dragging them down. So, damn u do well & damn u don't. Well, I guess when you are popular, everybody focus on how you do. Some critics or economists happy to see Vancouver not doing well, they are trying to tell everybody that their prediction "FINALLY" correct. In 2011, some Mainland China speculators were being encouraged by some irresponsible local agents who are speculators themselves as well. Many formed a speculate groups included bankers, builders, agents & the Mainland immigrants who has plenty of cash in their pockets. Some agents put up with their own money as well. They bought up many old houses in mainly Richmond, Vancouver West & some in Burnaby, hoping to flip properties like they did in Asia. Well, eventually some got burnt & that is expected. 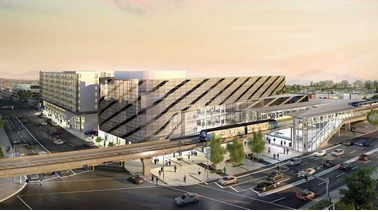 As a result of that, the public calls for banding foreign investors buying in Vancouver. However, what I see these days are healthy adjustments. I still work with Mainland Chinese buying for their children to attend school here. Many of them don't care about their immigration status. Chinese believe in having the roof over our head not renting since their children is going to be in Vancouver for a while for their education. So, why rent? I also work with internal migrants at the moment. My buyers are relocating from Toronto to Vancouver who has strong income & equity from their house. Finance Minister Jim Flaherty warns that Canadians are taking on too much debt. Well, I'm looking at 2m range property with my Toronto Canadian who only needs 300k mortgage. Do u call that too much debt?? For those who are poor in money management, it doesn't matter how high or low the housing price is, how high or low the interest rate is, they can't afford to buy properties. They will just rent & keep spending their disposable income. There is no doubt the market has cooled off. However, I see opportunity instead of fears. If you wish to own a detached house, this is the perfect time for buyers who wants to get back into Vancouver westside or Richmond again. If you are in condo market, Bob Rennie, President of Rennie Marketing system shared his view with the Urban Development Institute on May 17. He noted the number of people aged 55-64 will increase 38% between 2009 & 2018, those 65-74 will increase 56%, while those 35-54 will only increase by 4.6%. Baby boomers are sitting on $88 billion in equity in Greater Vancouver. That equity will be freed over the next 15 years & when they sell their home, they will buy down & help their kids. I love his new saying: In the 70s & 80s it was location, location, location. In the 90s through mid 2000s, it was timing, timing, timing. From here forward, it's transit, transit, transit. We can never time the peak nor the bottom. I personally prefer to live in a vibrant city over a dead boring one. new projects over the course of 2012.
markets, from 3.8 percent in the fourth quarter of 2011, to 3.6 percent. Richmond’s industrial market garnered 92,064 square feet in positive net absorption this quarter. Leasing activity in the Richmond markets picked up moderately in the first quarter of 2012. 123,681 square feet has been leased out on Blundell Road; 121,350 square feet leased out on No.6 Road; 38,684 square feet leased out on Van Horne Way. The supply of quality investment product continues to be constrained in both markets; a private investor purchase of 62,271 square feet in Richmond for $8.0 million. Is now the best time to buy strata units? and why? With all these pre-sale strata units flooding into the market. Who should why? who should wait? Any chance we can wait for Vancouver housing market become more affordable? listen to this AM1320 radio interview podcast my take on this topic. There is reason why the city issue building permits. Lower Mainland expects 35.9% population growth over the 2010 to 2036 period. Between 1991 & June 2011, BC population has grown from 3,373,787 to 4,573,321, 1,199,534 more people, a 36% increase. That is exactly 20 yrs difference. Therefore, the new projection is very much in line. The major factor driving population growth over this period will be migration to BC, International migration will account for 77.4% of the population gain, followed by interprovincial migration at 17.3%, and natural increase (birth minus deaths) at about 5.3%. With the detached housing price getting out of reached for many buyers. It is natural to see all the new strata units building everywhere. During the first 2 months of 2012, the value of building permits issued in the province's regions climbed 52.5% (unadjusted) above the level recorded in the same period last year. Investment intentions were up in 6 regions, including Mainland/Southwest (+31/2%), where planned spending on industrial(+152.1%) & commercial (95.3%) projects soared. The commercial sectors have increasing demand so I'll share more commercial info with our listeners in our program. Why either we don't have enough strata to sell at one time & then all of a sudden we have over supply? I suspect it has something to do with whether the developers can get financing from the bank or not. Canada being able to ride the global economic crisis smoothly is because our banking system is very conservative. Therefore, I naturally believe banks would not be willing to finance the developers if they worry the buyers will slow down buying & the pre-sale might not be able to as fast during the global economic crisis. Now when all kinds of report shows BC has a bright future with strong population growth, I assume bankers might be more relax & start lending again to developers so building permits climbed again too. After all, each pre-sale centre has banker to do the financing for the buyers. It is in our blood that we, as Asian likes to make profit off real estate & stocks market. The different is we can't flip real estate in N. America like they do in Asia. We don't have the population nor the income to do that. Talking about affordability. 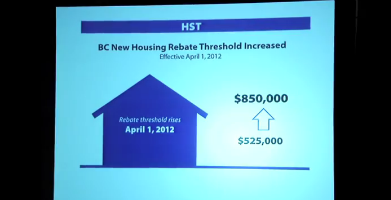 BC has been unaffordable for over 20 years so this is not going to change. In order to be affordable to everybody, we have to expect a good 38% housing price drop & even during 2008, global economic crisis, we only dropped 15% in average. So, we have to forget about affordability. We can only do our best, help the next generation to buy property & force them to save money. The younger generation has very different mentality than us because most hard working parents sometimes over look after their children so the younger generation doesn't know how to value money. With all the great selection out there now, developers giving incentives, government offers incentives to new home buyers as well as historical low interest rates that is not going to change much till the global situation improves. You really should choose the one that is affordable & right location to buy. Even if you need to subsidized a bit now should you choose to buy in the city, have the children to pay the difference. It'll help them to have a home in the future. Think long term!! Market updates on how social media affects real estate market? Sales volume differences between 2011 Chinese NY & 2012 Chinese NY & how mortgage war affects home owners & home buyers? Sales comparison in the 5 Chinese popular areas between last Chinese NY vs this Chinese NY. Over the past few months buyers seeking affordable housing appear to have migrated from the Vancouver West to the Vancouver East and the east side housing price is gradually creeping up with multiple offers particularly along the Main Street corridor with most of the action between Quebec and Fraser from East 12th St. to East 33 Rd. As a result, many of those homes are selling well above asking price. On the Vancouver West , prices are trending flat or slightly down. Based on the current global economy, in my opinion, the rate needs to stay low or else countries with heavy debts load will have problem paying their interest.. However, if country likes US keeps printing money to create a "fake" economic improvement, FREE money will eventually leads up to inflation, which means higher interest rate. No matter interest high or low, Canadian dollars high or low, market high or low, economy good or bad, unemployment rate high or low. If you were the worry type, the conclusion is you will almost always negative because you worry no matter what the situation is. However, if you are the optimistic type, you will always make the most out of any situation. What does this mean to the housing market? With all the government rolling out all the incentives in the past few weeks & now the mortgage wars, it stimulates the local market more than high end housing market. I'm experiencing DT condo market is really moving fast. After the HST incentive being introduced last week by the Provincial Government to stimulate the housing market, a week later, the government introducing another program called The B.C.first time new home buyers' bonus. Again, similar to the HST program, this one also only valid for one year starting Feb 21, 2012 to March 31, 2013. Both programs targeted the sale of the new homes. 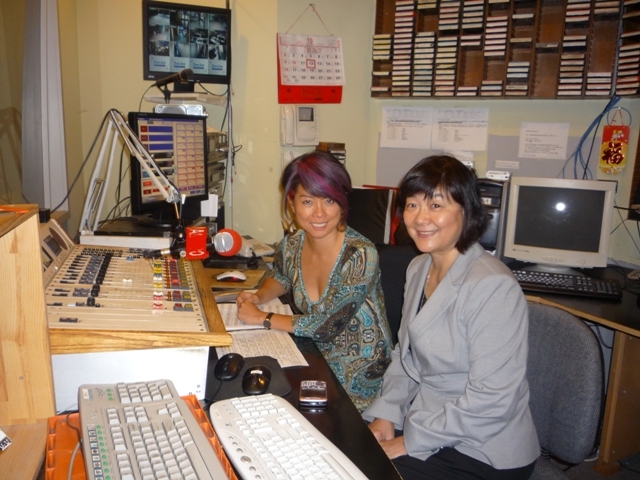 Listen to the podcast for more detail discussion in Cantonese or click The B.C. First-Time New Home Buyers' Bonus to read details. April 1st, 2012 to April 1st, 2013 when the HST will officially be gone. More than 90 per cent of newly built homes sold in B.C. are below the new higher rebate threshold. Click Transition measures support new-home buyers, builders to read more. OK Economists, can u predict how our B.C. housing market is going to be like for the rest of the year when the govt is introducing a new HST threshold rebate from 525kk to 850k, rebate amount up from $26,250 to $42,500? This new rule comes effective on April 1st, 2012 to April 1st, 2013 when the HST will officially be gone. More than 90 per cent of newly built homes sold in B.C. are below the new higher rebate threshold. Click Transition measures support new-home buyers, builders to read more. By December 2013, all strata building needs to have a Depreciation Reports for maintenance purpose. Depreciation reports which estimate the repair, the replacement cost & the expected life of major item will be required. The report must also include a financial forecast on anticipating maintenance, repair & replacement costs for all the major items. 1) the owners have passed a resolution approved by a 3/4 vote that waives the requirement. 2) the Strata Corporation has fewer than 5 Strata Lots. Potential value depreciation: Should owners of the building vote against preparing this depreciation report, there is a great potential that buyers might not wanting to buy into this building. Banks might not want to fund the buyer who wants to buy into the building. By March 1st, 2012, all Form B is required the attachment of "most recent Depreciation Report, if any". Alberta strata buildings have been providing this depreciation report for a long time. It is actually very good for the building & maintaining the value of the building for the owners. In my opinion, this will definitely reduce the potential special levy on major repairs. Prevention is better than cure. Buyer always like to buy well maintain property regardless it is strata or detached house. In Canada, confidence remains high coming off good results in 2011, and as long as businesses and consumers remain motivated by the underlying fundamentals and not the headlines, the country’s markets can anticipate ongoing improvement. Leasing activity was strong across Canada’s office markets in 2011, with vacancy rates decreasing and rental rates trending upward in most markets nationwide. Vacancy rates are declining in most of Canada’s industrial markets as space is steadily absorbed. Stability and modest growth are reported across the country, with some markets anticipating the return of speculative development in 2012. In all, commercial real estate investment activity in Canada surged to almost $15 billion through the first three quarters of 2011 – nearly $2 billion, or 16%, higher than the same period one year prior. This figure could equal or surpass the $20-billion mark as there were a number of transactions in the final stage of negotiation during the closing months of 2011. For 2012, these trends are expected to continue, tempered only by a scarcity of high-quality assets and the spectre of international economic difficulties. In addition to the Vancouver area being positive and vibrant, based on past 2011 transactions, there is a wide variety of quality projects to suit every investors liking. At this time in January 2012, there are many projects for sale with solid income between $3,000,000 and $20,000,000. A small sample includes 2 Retail Stores or Plazas, 6 Industrial Warehouses, 2 Office Buildings, 4 Hotels, and 7 Multi Family (Apartment Buildings) investments. Is there any relationship between property assessment, property market value & property tax? Over 98.4 per cent of property owners accept their property assessment without proceeding to a formal, independent review of their assessment. Assessments are the estimate of a property’s market value as of July 1, 2011 and physical condition as of October 31, 2011. This common valuation date ensures there is an equitable property assessment base for property taxation. Changes in property assessments reflect movement in the local real estate market and can vary greatly from property to property. When estimating a property’s market value, BC Assessment’s professional appraisers analyze current sales in the area, as well as considering other characteristics such as size, age, quality, condition, view and location. Real estate sales between Jan 1st & Oct 31st determine a property’s value which is reported annually by BC Assessment. Local governments and other taxing authorities are responsible for property taxation and, after determining their own budget needs this spring, will calculate property tax rates based on the assessment roll for their jurisdiction. However, they normally don't enter the property whereas real estate agent will physically visit the property to see if there is any improvement done on the property. 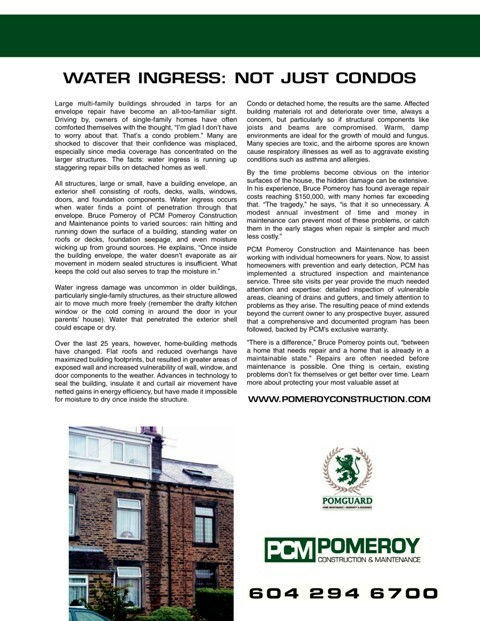 If home owner doesn't report the renovation, the assessment therefore cannot reflect the true value. Assessment value, property tax & actual property market value are not necessary related to each other. This is just a general perception in the general public. Last date to appeal is Jan 31st in each year. Should you wish to sell your property in the following year. The assessment value doesn't necessary reflect the current market condition because it is already 6 months old & in today's fast changing market, owner needs a professional honest agents to share t he most update market condition with you. If you wish to sell your property, pls contact me at tinamak@tinamak.com or 604-412-5860 for a FREE evaluation. Shall we invest in today's unstable global economy? 2) Be an investor not speculator. The reason why I love real estate is I am the President, CEO of my property. I can keep it as long as I can hold on to it. 3) plan ahead for the down payment. For eg: Burnaby apartment at 250k, rent approx. $1200 20% is $50000. 5 yrs term, 3.29%, 30 yr amortization, monthly pmt $872 + $200 strata fee + $131 ppty tax=$1203. Cost to buy is $53000. After 1 yr, $3992.41/$53000 gives u 7.5% ROI! There are many property around $250k range, brand new development in the lower mainland but maybe in Fraser Valley but some in Richmond or New Westminster. If you don't mind older building, you can stay find them in Burnaby. The Real Estate Board of Greater Vancouver reports that residential property sales of detached, attached & apartment properties on the region's MLS reached 2,360 in November, 1.9% increase compared to the 2,317 sales recorded in October 2011. Listing on another hand declined 26.3% compared to October 2011 at 3,222 in total. I did a live radio interview between Vancouver & Australia with Mr. Alex Caraco, CEO of CB Australia on Nov 5th on my weekly real estate radio show. That was an eye opening interview for me. I learned so much from Mr. Caraco. As we know, Canada & Australia are the 2 most popular countries to the Mainland Chinese immigrants. However, the fact is as Mainland Chinese wealth improves, they will go anywhere. I was talking to my Chinese friends recently & apparently, Chinese immigrates to S. Africa too. Vancouverites just have to feel lucky that our housing value hasn’t reached the Australia level YET. However, it doesn’t mean that day won’t come. How does the home auction process work in Australia? Buying and selling houses at auction is hugely popular in Australia. The following is a basic guide to how the home auction process works. Once you’ve found a property, by law, you need to contact the real estate agent and register your interest (laws vary state by state; for example, bidders don’t need to register in Victoria). You will need to show proof of identification so take your passport, driver’s licence, credit card and bill with your name on it. You will then be issued with a bidder number which you will show every time you bid. Registering interest does not mean you are obligated to bid. If you haven’t registered beforehand with the agent, you can do so on the day. If you are bidding jointly, only one person needs to register but they will also be the only one allowed to bid. All properties up for auction have a ‘reserve’ price, which is the lowest price the seller is willing to accept. It is usually set just prior to the auction and is confidential. To get an idea of the reserve, research recent sales of equivalent properties in the area, or employ the services of a professional valuer. Tip: If the vendor is receptive, you can make an offer prior to the auction. Once the reserve price is met or surpassed, the property is sold to the highest bidder on the fall of the hammer. The winning bidder must then sign a Contract of Sale and pay a deposit, usually 10%, on the day. The successful buyer must also have their finance pre approved by their lender. Failure to finance the sale may result in the loss of your deposit. If the highest bid is below the reserve price, the property will be passed in. The person who made highest bid is usually given the chance to negotiate with the seller. This interview was in Bilingual (Mandarin & Cantonese). 1) Q:since when you noticed more n more Chinese going to buy in WA? A:Since 2010, after Summer, Sept, Oct, more during X'mas, continuously increasing now. 2)Q: are they new immigrants? or are they Canadian citizen already? A:Buyers usually have been living in Vancouver a few years, 5/6 yrs or even longer. Usually husbands work in Asia & wives look for property. 3) Q:what price range do they buy? A:Principle resident: $700k to $1m. School catchment is extremely important. Investment: they are interested in buying either single strata unit, the whole apartment building or even storage facilities. Price for storage facilites can be as little as unde $200k to $3m+. 4)Q: do they pay all cash? or get mortgage? A:Usually pay all cash, only small portion obtain mortgage because it's not easy to get mortgage approval. Fo Canadian citizen, they can get same amount of mortgage as the US citizen which is only 50%. IF not, bank only grant 25% loan. 5)Q: How does th deposit/Ernest wors? A:Deposit(Ernest): they require min 2.5% to 3% of purchase price upon mutual agreement acceptance. They don't recommend more than 5% because in case the buyer back out the deal, they might loss the deposit. There are a few conditions usually put on the offer for 3 days: a) neigbourhood review b) inspection c) mortgage. If all the conditions have been fulfilled but buyer still want to back out, buyer's deposit monies could be forfeited. There is one very crusial point on the contract that must be filled properly or else the buyer could find himself in serious legal situation. In the contract, there are 2 check boxes regarding the right of the seller to sue the buyer in the event buyer back out the deal without any valid reason. 1) seller can sue unlimited liability 2) Seller maximum take the Buyer's deposit amount. All these rules are based on NW Multiple listings standard form. Different States have different rules. 6)Q: what is the min down payment? is every States different? or more or less the same? A:Down payment amount is depending on how much mortgage buyer can obtain from the bank. 7) Q:is it difficult for Chinese buyer to get mortgage? US mortgage terms are different from Canada? can u explain how mortgage works in WA? A:It is difficult. You have to proof your income source, proof your income earning power & they will look at your Notice of Assessment. All document must be provided & if buyer's income statement is from China or other part of Asia, you must certified all documents. One way of doing it is to certify it at the US Embassy or hire US recognized translating company to do the translation. In order to get the best rate, you MUST provide all required documents. If not, buyer won't get the best rate. Different States have different rules for Escrow closings. Today I'm sharing the Texas Escrow closing vs Vancouver closing system. 1) Canada called is as "Deposit" whereas US called it as "Ernest"
In Canada: normal practice is min. 5% of purchase price once we have an unconditional offer then the rest upon closing. US : it can be as little as couple thousands dollars on million dollars home upon accepted offer then pay the rest upon closing. Texas: out of the area appraiser was being asked to do the appraisal. Then they need to approve the appraisal report by another dept & sometimes take a long time. Bank still has the right to refuse funding to the buyers in the last minute if they "Doubt" the buyer's intention on the purchase. Vancouver: Appraiser writes the report for the bank & that's it. Title companies normally handle closings. Don't use lawyer like us. Lawyer only charges couple hundreds dollars. If you want legal advice, you need to pay extra. Buyer buyer & seller go to the Title companies to sign all documents. If documents are missing from any dept like the banker, buyer & seller can't close & have to go back to the title office the next day to wait again. It can be a waste of time for both seller & buyer. Both parties still have the option to back out the deal on that day. Therefore, there is no guarantee that you actually bought or sold a house until you actually sign all papers. Property taxes notices are send around October 1st, but are not due until the end of the year. Canadian closing: easy system. Buyer & seller go to their own Lawyers or Notary Public, sign all necessary paper then the legal firm will handle all registration with Land Title office. 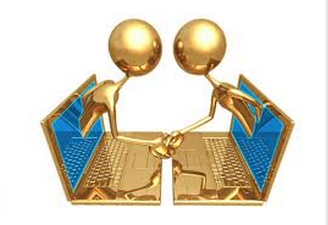 Both Listing & Selling agents exchange keys & delivery keys on Possession date without Buyer & Seller meeting each other. I was in Forth Worth area. Property tax dept has a lot of arrears payment due to the amount of foreclosure properties. The govt then raise the other properties owners property taxes. My friend's 6000 sf house is paying $24,000 a year. However, the property tax on agriculture lands are way less than the residential property, only thousands of dollars on hundreds or even thousands of acres of land. Thank goodness we don't have this problem in Vancouver. Should you wish to buy properties in US, please give me a call & I can refer you to agents in the area you are interested in. You must understand the system before you do any purchase. It's very different from Vancouver. Most home owners usually don't know the different between the 2 & when they ask if there is any difference, the short answer is "Yes". When a property is held in joint tenancy, this means "the last man standing" owns the property. When one joint tenant dies, the entire property belongs to the remaining, surviving joint tenant(s). Whoever is the last joint tenant to die owns the property. Only that last person can use his or her Will to give the property to someone else. For example, Alan, Bob & Charlie are joint tenants of a house. Alan passes away. Even though Alan would like to leave his share to his wife, he can't because he's a joint tenant. Bob n Charlie then own the property. Bob dies. Charlie now owns the whole property. Because Chris is the only name on title now, he can leave the property to his wife & children. There is nothing for Alan or Bob's families. Tenants-in-common is a different story. In this arrangement, each person owns a half, or third, or some other portion that belongs only to them. They can leave their share to someone in their Will or sell it (never mind the logistical problems of trying to sell one third of a house). To adapt our example above, let's say Alan, Bob & Charlie are tenants-in-common of the property and each owns and equal 1/3. When Alan passes away, he leaves his share to his wife, Deana. Now the owners are Bob, Deana and Charlie. Then Bob passes away and leaves his shares to his wife, Roberta. Now the owners are Deana, Roberta and Charlie. In this way, each of the individual owners retains control of his or her share. If there is no Will, there will be an administrator appointed by the court. Whoever is the beneficiary of the estate will become the new owner of the deceased's portion of the property. The portions of the property owned by the other tenants-in-common are not directly affected. Between a husband and wife, a title is almost always held as joint tenants. This is so that when the first spouse dies, the other one will automatically own the family home without having to go through probate. Note that this is not always done in second marriages, depending on the situation. There is a recent case happened that a BC resident passed at the age of 62 without a will. Her husband then asked wife's sister to help prepared a will because the couple didn't have children. The problem is the husband didn't sign it before he died a year after. All of the couple's possessions are now in the custody of the Public Guardian & Trustee of B.C., which is searching for the husband's overseas distant blood relatives but no relatives are found. The couple didn't have a huge pile of assets but had some life insurance money, investments in the bank, paintings & jewelries. Now the wife's family faces the prospect of buying back family heirlooms including jewelries that the wife inherited from her mother from public auction. 20% of B.C. residents' over 55 don't have a will, a number that rises to 51% among those between the ages of 35 & 54 according to recent poll study. Only half of the adults have a will. It is particularly important if you have acquired assets such as real estate. New legislative changes pending to regulations around wills by Sept 1st, 2011. 3) 3rd changes involve representation agreements, which are powerful documents that cover health care treatment and other end-of-life wishes, he said. The agreements allow a person to appoint someone else to make decisions for them if they are unable to make decisions themselves, and permit the appointment of a monitor as a check on the representative's activities. More information on the Sept. 1 changes will be published that day on the Public Guardian and Trustee of B.C. website (trustee. bc.ca), to the Public Guardian's office. What is the difference between hiring a lawyer vs a notary public on real estate closing? The difference between lawyers and notaries is something like the difference between doctors and nurses. Virtually every lawyer has an undergraduate degree and a law degree from a recognized university. A Notary Public, while they must have matriculated from high school, their training consists of anywhere from a six-month correspondence course to a two-year correspondence course. Most real estate deals are fairly straightforward and both a lawyer and notary will prepare the documents for you. andany additional info to prepare a Statement of Adjustments. prepare closing documents,including a title transfer, mortgage, property transfer tax forms and forward them to the seller’s lawyer or notary for execution.After you sign your papers, the lawyer or notary will register the transfer and mortgage documents and transfer funds to the seller’s lawyer or notary. After closing, deposit funds into the seller's bank account or prepare cheque for seller to pick up in person. You are probably saying, "What's the big deal? Most real estate deals are simple and the secretaries do most of the work anyways." You would, in many cases, be right. Nine out of ten residential real estate deals are fairly straightforward. What if you are the odd man out, that unlucky tenth deal? For example, if you ask questions like: "I think my neighbour's fence is on my land, what should I do?" or "I allowed the new buyer conduct minor renovation on my vacant condo & now the trades had a plumbing accident & water leaks to the lower floor, what should I do? the notary cannot give you advice on what your recourse is. One of the common aspects about the notary - solicitor division involves the perception that notaries are somehow cheaper then lawyers. Sometimes that is true but sometimes it isn't. Some notaries are more expensive than some lawyers and, of course, prices may vary from lawyer to lawyer and notary to notary. One simple example, you wouldn't know if they use first class or third class courier but it affects the time the Seller receive the funds from the transaction. 1) if the lawyer or the notary they handle the file themselves or like most cases just supervise the preparation of documents. 2) Can I communicate to the lawyer or the notary directly? or I can only talk to the secretary. It is fairly safe to say, however, that you tend to get what you pay for, whether it be a cheap notary or a cheap lawyer. 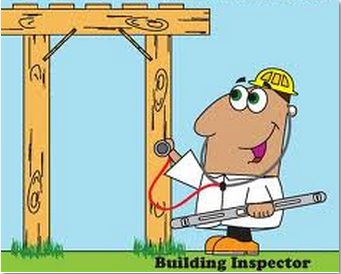 Does buyer needs to conduct inspection when buying new property? There are a few Economists predicted Vancouver housing market is going to drop. They range from 1.6% in the 2nd half of 2011, 15% by 2012 & 25% within 3 years. Back to 2008, Economists predict Vancouver market was going to drop as big as 35%. However, I shared with the listeners in the past that even Economists said their accuracy maybe 20%-30%. I feel that the world leaders have learned a good lesson from 2008. I logically think they will do their best to avoid it repeats the 2008 situation again. I always said the weather forecasts can only forecast the next couple of days, can I believe in their 3 yrs prediction? No matter we hear positive or negative news, I hope we don't treat these news like watching the stock market.